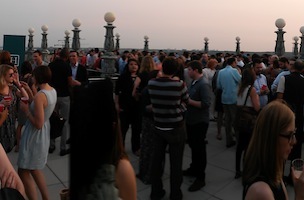 On Thursday night, The Huffington Post and the Progressive Change Campaign Committee hosted a happy hour for 300 friends atop the Warner Roof, with hors d’oeuvres provided by chef Will Artley, of Falls Church’s Pizzeria Orso. 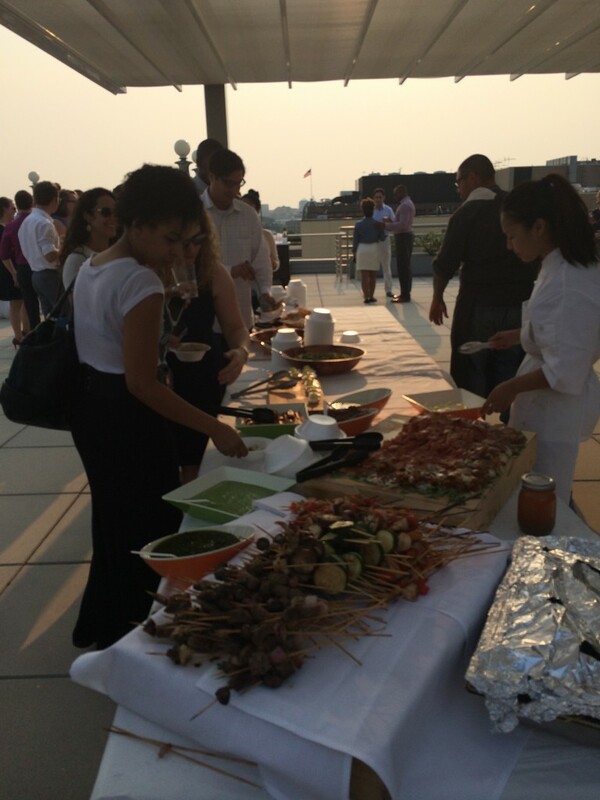 Guests noshed on truffled deviled eggs; mini veggie, chicken and beef kabobs; cured meats and cheeses; and marinated heirloom tomato and grilled corn and pea salad. Partiers also tapped 3 kegs, with many staying past the intended closing time and wine had to be restocked three times, proving to be a fun night for all in attendance.